everydaytaichi lucy & students had the pleasure of meeting and playing tai chi with a couple from Tokyo, Shizuoka City, at our non-instructional Friday session. Nobu and his wife Ikuko, are pictured here. Nobu has been studying Yang 24 tai chi for almost 2 years. We will see them again next January! Nobu is a semi retired child welfare worker and Ikuko was a teacher. Incidentally, Nobu found our BLOG and website by doing a search using the key words: Honolulu and tai chi. With that, he found our website and has been reading lucy's BLOG. 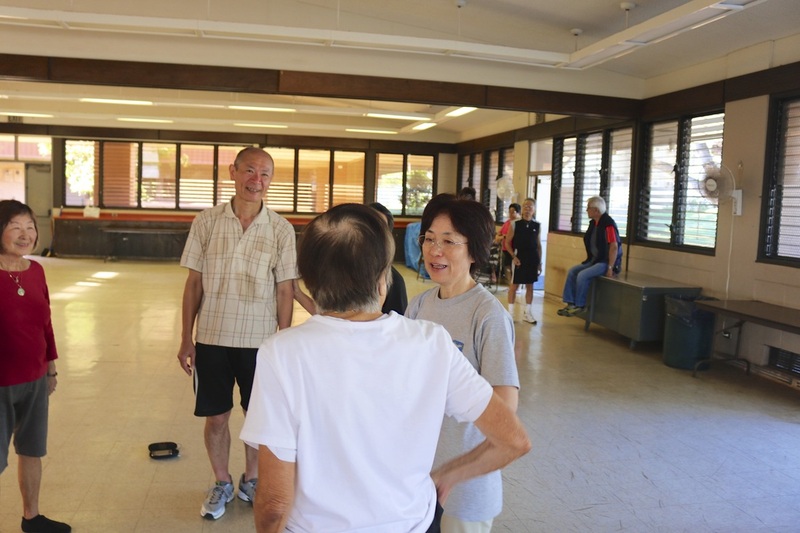 He contacted me from Japan and knew that his vacation would not be complete if he didn't play tai chi in Hawaii!